Recently I contributed to a discussion on the Restricted Data blog, and decided I should expand upon it here. Wikipedia tells us, "Swipe is a comics term that refers to the intentional copying of a cover, panel, or page from an earlier comic book or graphic novel without crediting the original artist." Photographs can be "swiped," too. 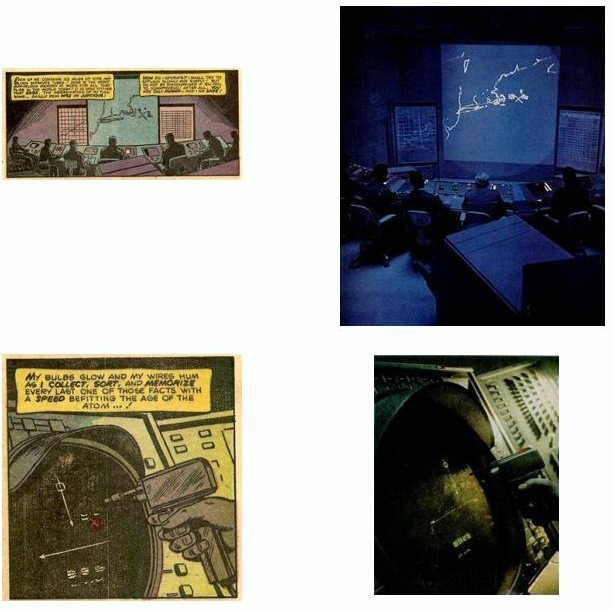 And we may expect that, in the heyday of Henry Luce's illustrated magazine Life, its superb photos and graphics might commonly have been found in any comics artist’s reference files. Let me show you an interesting example. 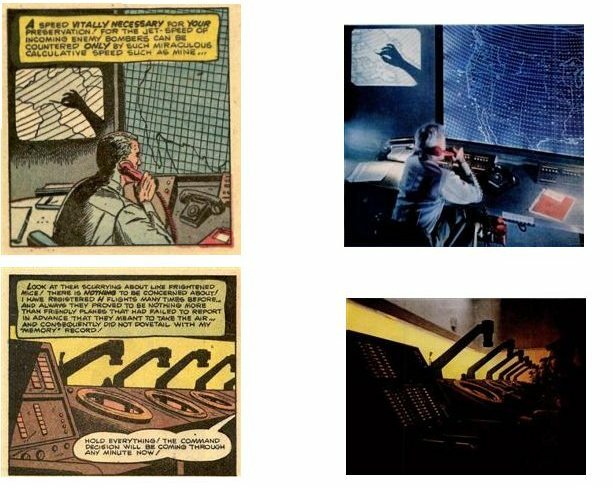 In Issue 1 of the 1958 revival of the war comic book Atom Age Combat, we find a feature entitled “I, SAGE…” The Semi-Automatic Ground Environment, robot sentry of the Cold War skies, narrates. It’s pretty effective non-fiction. Answer: All of them, save one. 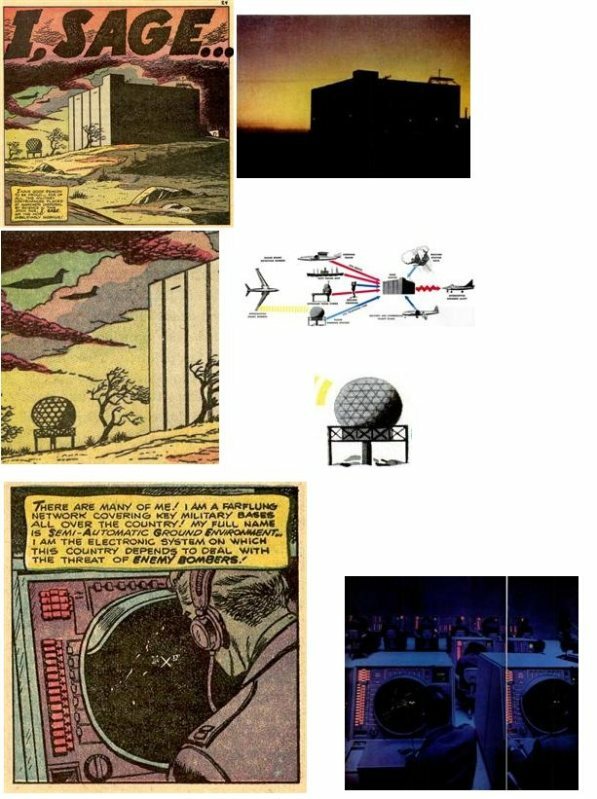 The uncredited artist even lifts some elements, like a radar dome, from the Life diagram of SAGE prepared by Matt Greene and Jerry Cooke. One wonders how many of the other panels in the story were also swipes from sources we have not detected. It seem strange that the artist did not swipe J.R. Eyerman's spectacular photo of an F-102 Delta Dagger unleashing fiery missiles-- one can imagine a young George W. Bush at the controls-- given that the SAGE story includes several panels of F-102s in combat. In addition, there is a single-page profile of the F-102 later in the book.